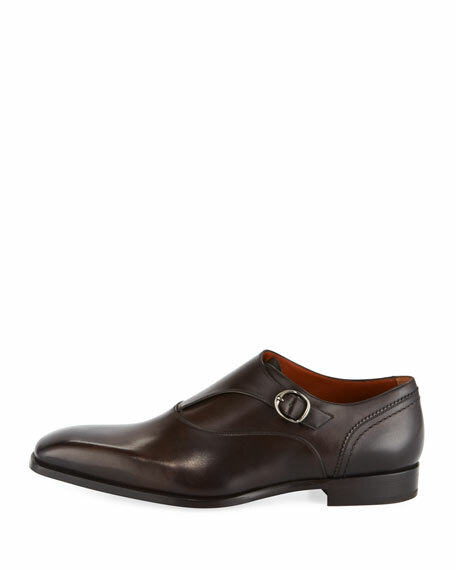 Ermenegildo Zegna shoe in calf and goat leather. 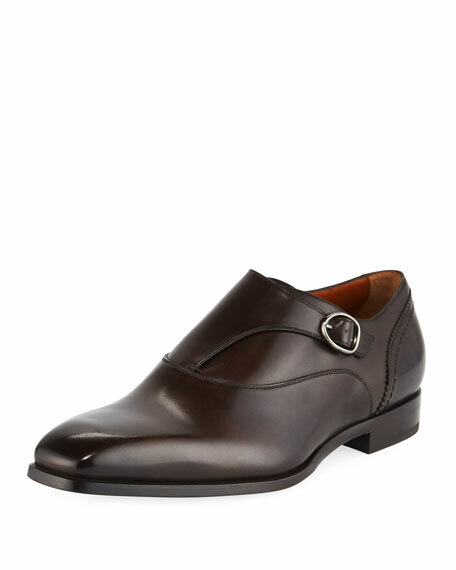 Single monk strap with silvertone buckle. 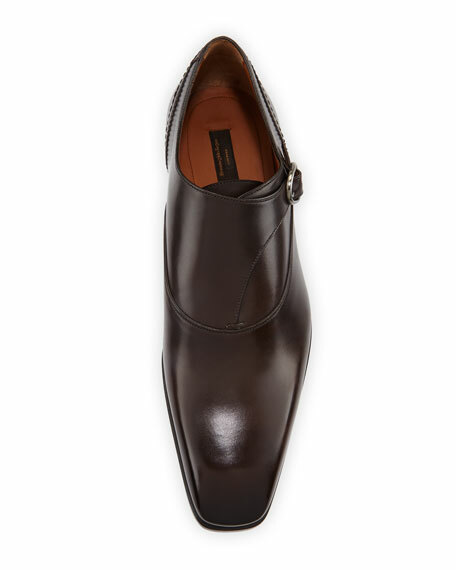 "Blake" is made in Italy. For in-store inquiries, use sku #2623687.